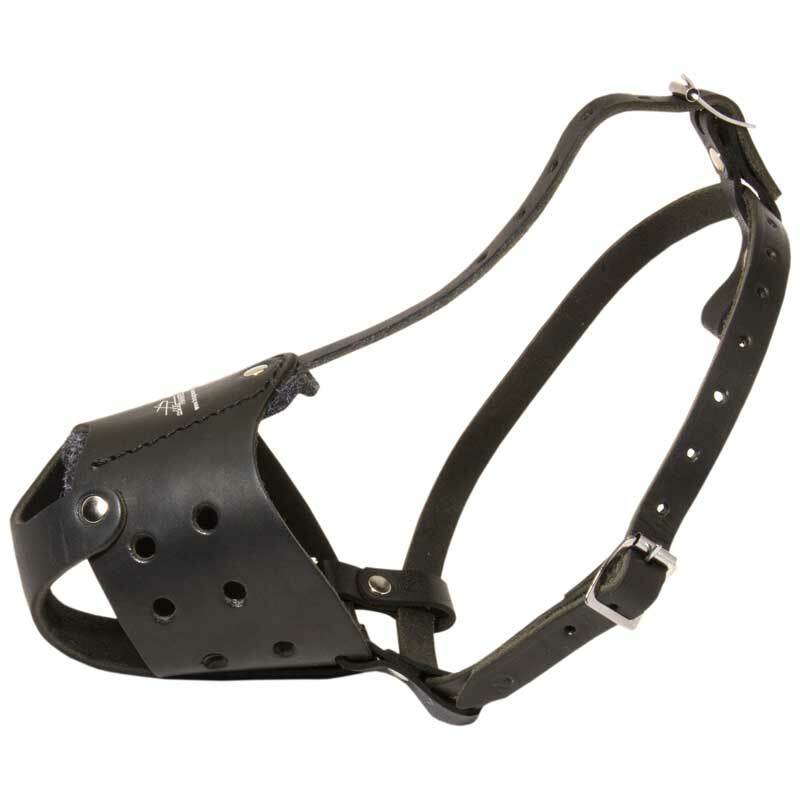 Made of top quality dog safe materials, this Leather Dog Muzzle is strong, durable and comfortable; it is a perfect choice for dogs with sensitive skin. 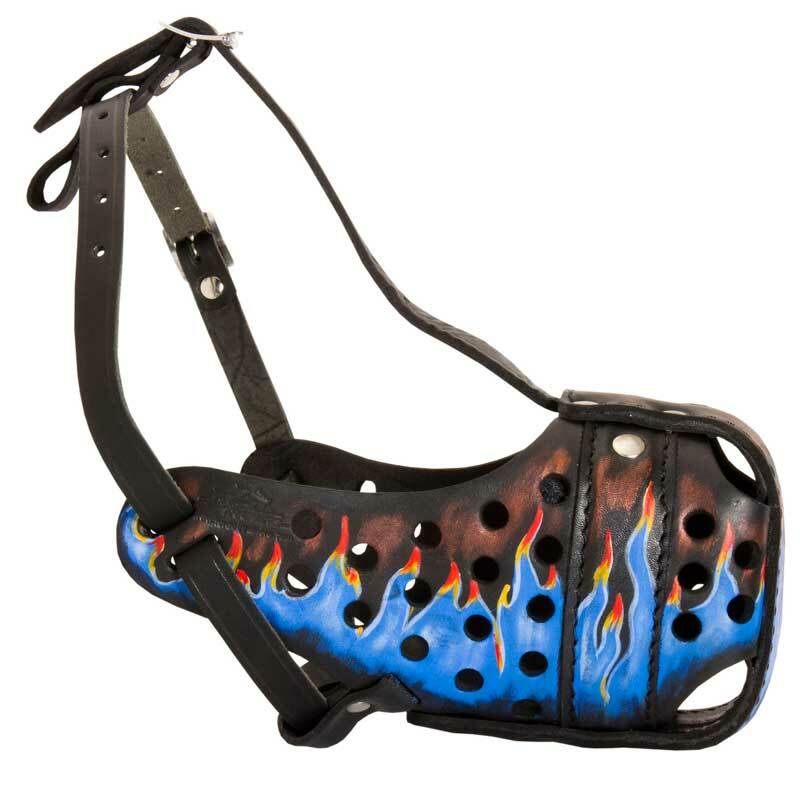 Designed according to the world standards the Muzzle provides superior comfort thanks to special soft thick felt nose padding. Also you can be sure that your Rottweiler will be well-protected during attack/agitation training. 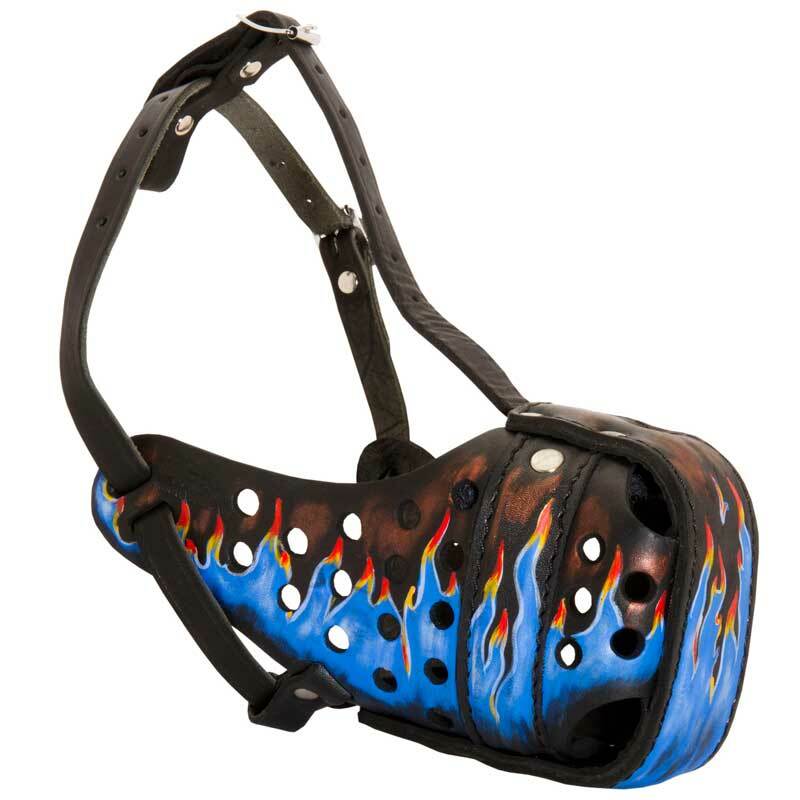 The ergonomic design of this Muzzle allows your dog to breathe well and provides his skin with good air circulation as well. 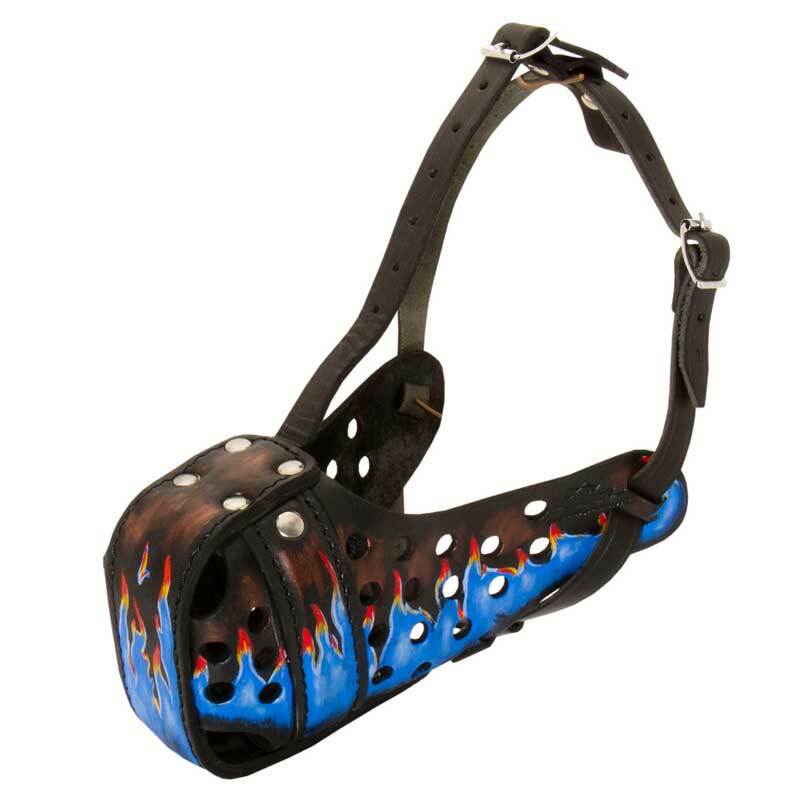 The distinctive feature of this Leather Dog Muzzle is its amazing look. Blue flames look very realistic and gorgeous. Only non-toxic paint has been used for their creation.